Happy with "Delilah." I took a fan brush to the background of this painting which is always a dicey endeavor... But I think I'm getting a handle on my love/hate relationship with the ever difficult fan brush. Used sparingly with a light touch-it sometimes obeys, lol. 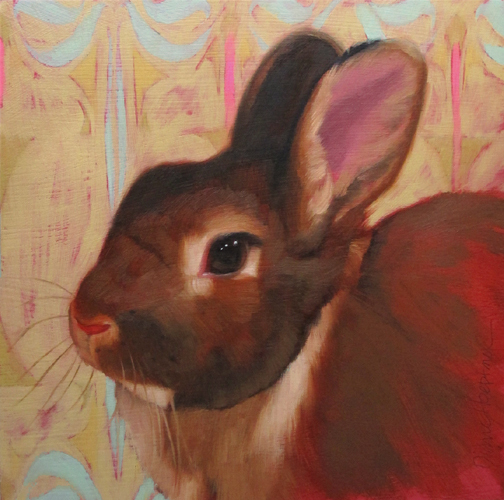 In other news, my painting, "Mighty Torti" is now available in print form at Fine Art America! Interested? Here's a link. Adorable. That eye and nose are slaying me!